Washington Capital FC has announced the tryout schedule for the 2019/2020 season. All interested players should register before the tryout day. It's a great time to register for CFC Summer and Spring Break Camps! WCFC will offer a half day Spring Break designed to improve your player's speed/agility, strength and technical skills. Camp will be held on Capitol Hill from 9AM-12PM. After care is available until 1pm. Registration options allow full week registration or a partial week. The WCFC Summer Camp is a great opportunity to work on your technical game this summer! Players will participate in a full day camp run by your favorite WCFC coaches. The morning sessions will focus on technical training, followed by lunch and a swimming break, then we will wrap up the day with small sided games. Our technical training program will focus on dribbling, passing, receiving, shooting, and finishing. All ages and skill levels are welcome. What should my player bring: a ball, cleats, shin guards, and water! 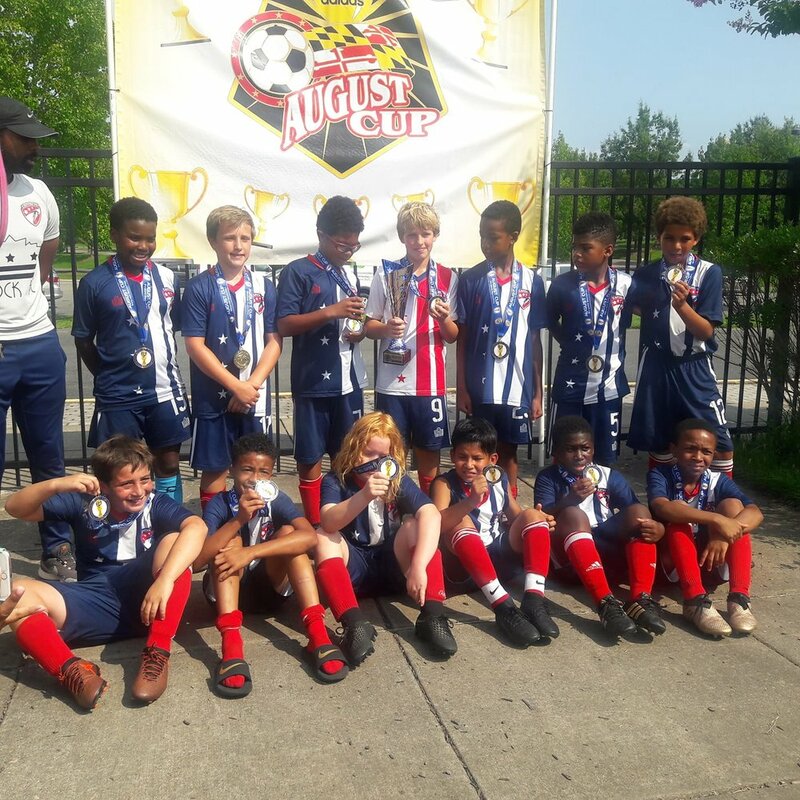 The Washington Capital FC club sent 18 teams to the August Cup this weekend! We will hold a supplemental tryout session for 2011-2009 boys and girls on Tuesday, July 24th from 6:30-8:00 PM at Randall Rec. Center. All interested players must register online. All players who wish to participate in the CFC 2018/2019 Full Year Program will need to attend. March Edition of the CFC Newsletter is out! CFC Players College Commitments, Futsal Round-ups, Spring Tournaments, and more! Announcing the return of CFC U9-U7 training academy! Sessions will be held on Fridays and run by CFC coaches. The sessions will focus on technical training, scrimmages and futsal. Players will receive 15 sessions for $180. CFC Summer Camp is Back! We are excited to announce another year of CFC Summer Camps! This year we will be offering two sessions in June and two in July. Our camp includes technical training, lots of games and swimming All sessions are staffed by your favorite CFC coaches. As a bonus... this year we will be offering t-shirts! A half-day camp held locally on The Hill and staffed by your favorite CFC Coaches. Our camp will offer training in speed, agility, strength, technical work, and lots of fun games! Capital FC teams have successfully concluded the fall league season. Over the past two weekends, the Club's teams participated in the SAC Columbia Fall Classic, Bethesda Premiere Cup, Capital Fall Classic and CASL. More details will follow about those teams that won their division or placed amongst the finalists. Fall U7-U9 Academy Registration Now Open!! Coach Denis and the U7-U9 Academy program are back! The program will be held on Fridays at Watkins ES from 5:30-6:30 PM and on every other Saturday morning. Training will begin September 8th and go until November 10th. Total cost is $180. Ideal for players born between 2011-2009 who would like to improve their technical game. Registration can be found here. For questions or comments, please contact Judah Cooks, tdoc@capitalfc.org. Congratulations Dani Michaels on being selected to the 2004 girls Region I ODP Pool!! New Admiral Uniforms are available to order! Check out the new CFC Uniforms and order now! 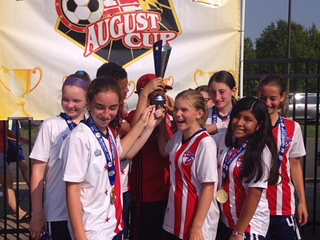 All CapitalFC teams are Summer Break through mid-July and August. We are offering a variety of supplemental training programs over the summer. Advanced Performance Training kicksoff on Tuesday, June 20th. Sessions will be held every Tuesday and Thursday through the end of the July. CapitalFC Summer Camp will be held on June 26-30, July 3-7, and July 10-14. Small Group Training sessions will be available again starting July 10th. Check out our programs page for more details.